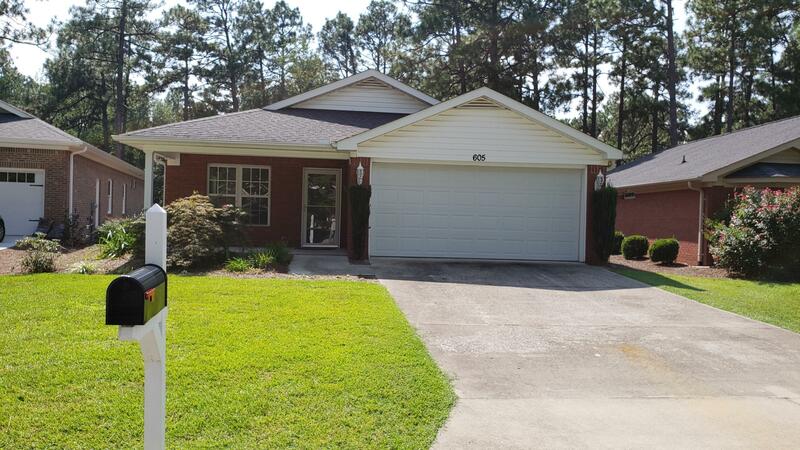 Excellent opportunity to own a home in the adult community of Pinehurst Trace. This bright and spacious home features an open floor plan with 3 bedrooms, 2 bath and 2 car garage. Year round yard maintenance, 7,000 +/- SF clubhouse, swimming pool, tennis, shuffle board and horseshoes. Easy access to surrounding areas via Pinehurst circle.All offers are subject to estate upset bid process.